There was something special about the timing of this matching. After breakfast at East Garden on March 25, Father announced that he would hold a matching on March 27. The day we got the news, representatives from many different church departments gathered to form a Matching Committee. That gave us only one day to call everybody! We quickly organized several committees -- for information and orientation, registration, accommodations, general affairs, and counseling. Registration at the World Mission Center began the next day at noontime, and lasted throughout the evening. The matching was to start the following morning. It was beautiful the way everyone cooperated and worked together on this. Elder members like Mrs. Verheyen and Mrs. Kamiyama came to help, and they stayed up all night long, registering people as they came in. The speed at which everything had to happen gave Satan no time at all to invade. We just totally gave ourselves. Father made very strict criteria for this matching, such as membership in the church for no less than three years. It was mainly a single members' matching, but members whose spouse had either left the church or had fallen were also included. Those who may have thought the standard for the matching had lowered were made aware that if their spouse were still in the church, anywhere, they should still be working on restoring that relationship and would not automatically be re-matched. They were expected by Father to resolve their difficulties, even if one partner had homosexual problems. These criteria cleared up many ambiguities. 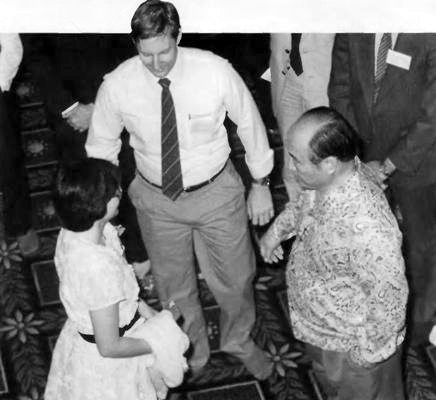 The last matchings in America leading up to the 8000 Blessing in 1982 were the first truly international matchings. Each was a very historical moment. They were the first large- scale matchings between black and white and between East and West, for example, and there were definite hurdles of faith that people had to confront. But with this particular matching, there was a different feeling. People were coming on that previous foundation, and I felt there was much more acceptance. The brothers and sisters seemed more prepared spiritually for this matching, even though it was on such short notice. The atmosphere was very positive. With every match that Father made, it was incredible to see the beauty of each couple and the almost immediate response of the partners toward each other. Among all the large matchings in America, there has never been one in which such a great percentage of the people accepted the first match suggested by Father. In only a very small number of cases was one partner not willing to accept the match. But it was a very, very small number. After the couples were matched, they were able to meet with counselors in the second-floor dining room if they liked. We had people there speaking different languages in case anyone needed help translating. A nice touch was the refreshments that were provided while the couples were talking. The older couples were constantly available, and there was an incredible atmosphere of support. In this way, everybody was able to feel comfortable. Some couples felt instant unity with each other, and some needed a bit of discussion. Some went to pray about it for a few hours. But I'd say most of them were able to resolve any difficulties. When they were ready to accept the match, the couples went back into the ballroom in groups of five or six and bowed before True Parents. Then they had their pictures taken together. There was no Holy Wine Ceremony held, so the newly matched members haven't yet been "reborn:' Matched status is comparable to receiving the seed from the Messiah, but rebirth doesn't really take place until after the Holy Wine Ceremony. It was a wonderful experience to be a part of and to witness. We in the Blessed Family Department have always longed to somehow solve the problems that some of the members have had with their marriages. And yet in a very short time, True Parents took the responsibility to resolve many of these problems instantly. It was a joy to watch people who receive d mates they felt joyful about, grateful for, and one with. It was a liberating experience for all of us, not just for the people being matched! Amazingly, even a few marriage problems from previous Blessings were resolved through this matching. We had always been concerned most about the youngest couples in the church, those from the 8000 Blessing. But all of a sudden, by this matching, they became the older couples. A few of these couples hadn't quite come to grips with their own situations; but even some of them came to us during this time for counseling. At the last minute, they seemed to have made a breakthrough in their own marriages that had been floundering over the last few years. 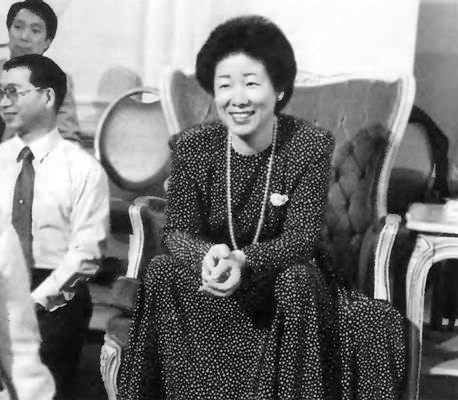 It was a time, spiritually, when all members could feel more united with True Parents. It seemed the whole church was carried into a new dimension. Here were older couples who could finally make unity and go forward, and then the brand-new couples making their pledges of commitment. It was like a cleansing of our church. Satan has been trying to multiply a few problems and make it appear that the number of shaky marriages was much greater than was actually the case. Through this matching I felt the whole image of the Blessing was restored. The Blessed Family Department had been inspired to hold a workshop to prepare members for the Blessing just a week before the matching. About 180 people came from the New York area, but we honestly didn't even know there would be this matching! Even out in California they had a Blessing workshop. I think people were starting to feel that something was imminent. At the workshop, several older couples give testimonies, and through them, the strength and the fruit of the Blessing was demonstrated. During the time of the matching, True Parents stood with the dignity and the authority of God and didn't compromise their standard in any way. In listening to the talk Father gave just before the matching, I realized that no matter what kind of workshop we might give, nobody can prepare a person for the Blessing like Father can! At one point he spoke about the beauty of a Japanese man and his Western wife explaining to their grandchildren about this very historical thing that they had done. How proud the grandchildren would be! In a very short time, Father put everyone completely at ease through his talk and totally inspired them with the vision of the Blessing. I think this renewal of faith in the Blessing was necessary as a foundation for the whole church to cleanse their hearts to receive the Holy Wedding of Hyun Jin Nim and Jun Sook Nim, which took place just three days later. If members had unresolved feelings about the Blessing, it might have been difficult for them to rejoice in the Blessing of a child of the True Parents. So I think this matching and this renewal of heart were perfectly timed to happen just before the Holy Wedding, so that all of our members could more deeply connect with the promise that True Parents have given us for the creation of ideal families.